There’s been a strange sound around Ilkeston recently – the sound of knitting needles and crochet hooks working overtime. 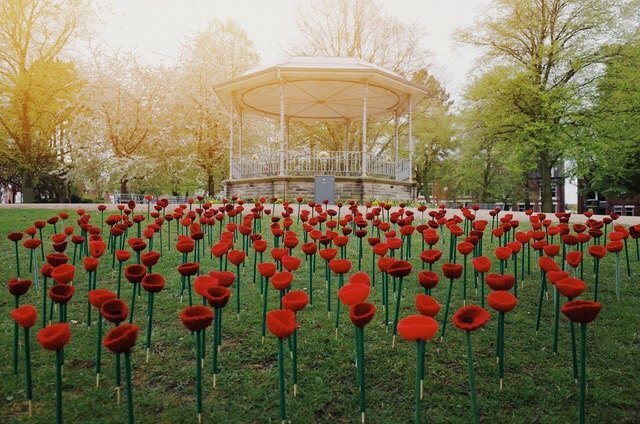 It’s all to do with a charity project – commemorating the centenary of the end of the First World War – the aim being to create a field of knitted poppies, with thousands of them being displayed on Victoria Park before being sold to support the Royal British Legion. 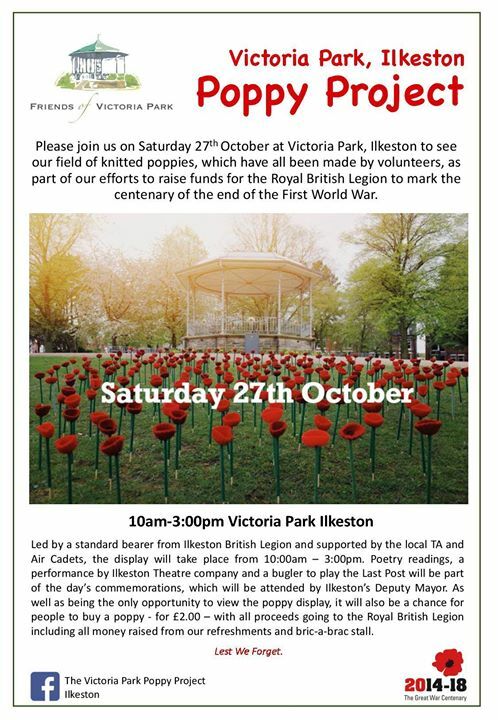 People can see a small display of some of the poppies created so far at Erewash Museum but the final display, which is estimated to include 4,000 poppies, will take place on Victoria Park, on Saturday 27th October between 10:00am – 3:00pm. Led by a standard bearer from Ilkeston British Legion and supported by the local TA and Air Cadets, there will be poetry readings, a visit by the Deputy Mayor and a bugler to play the Last Post. As well as being the one and only opportunity to view the full poppy display, it will also be a chance for people to buy a poppy – for £2.00 – with all proceeds going to the British Legion.